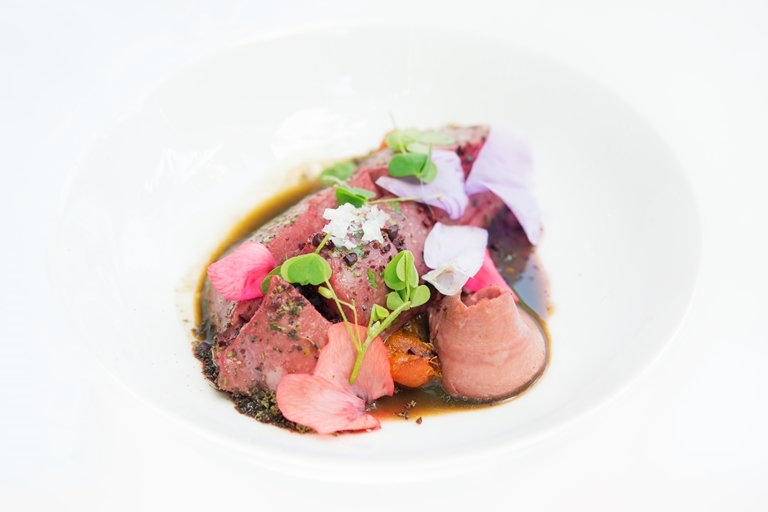 This impressive pigeon main course by Aurora Mazzucchelli has several elements but can all be cooked within an hour. 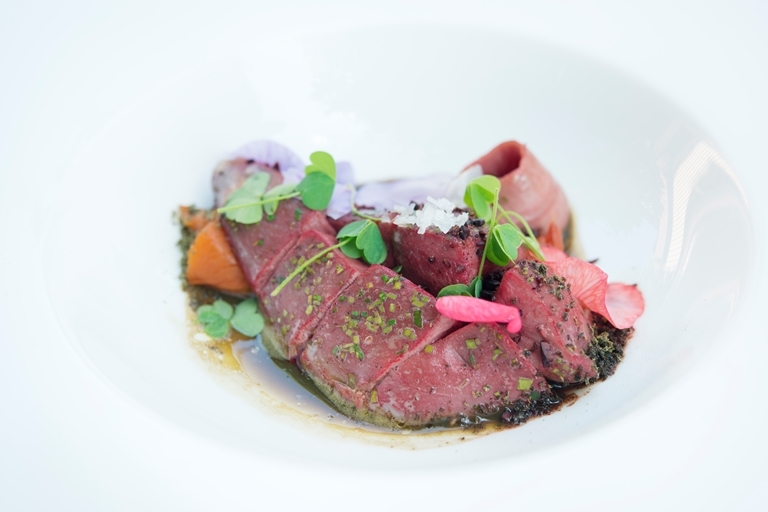 By cooking the pigeon breast in a water bath the delicate meat is guaranteed to stay tender and rare. To flavour the meat the chef uses timut pepper, a wonderfully aromatic Nepalese pepper similar to Szechuan pepper.